Hello & welcome back to another CASE-ing the Catty Sunday night blog hop. This week we are CASE-ing projects from the Succulent Garden section of the Occasions Catalogue pages 20 - 31. 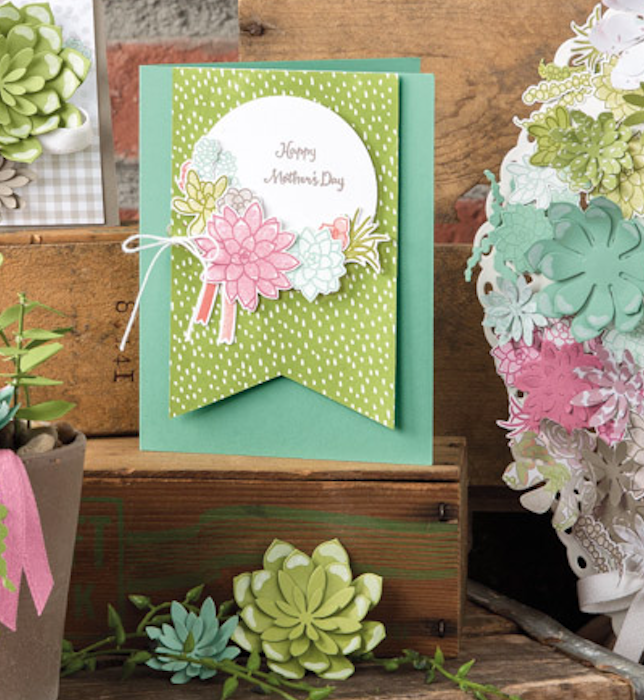 I have chosen to CASE the cute succulent Mother's Day card on page 20. 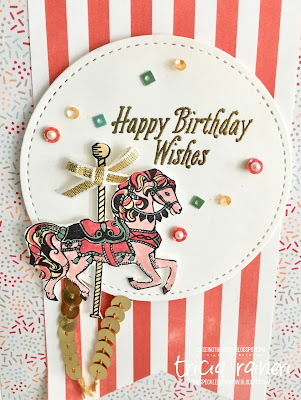 Whilst I love the succulents & flowers used in this card, I have been itching to ink up my Carousel Birthday stamp set. 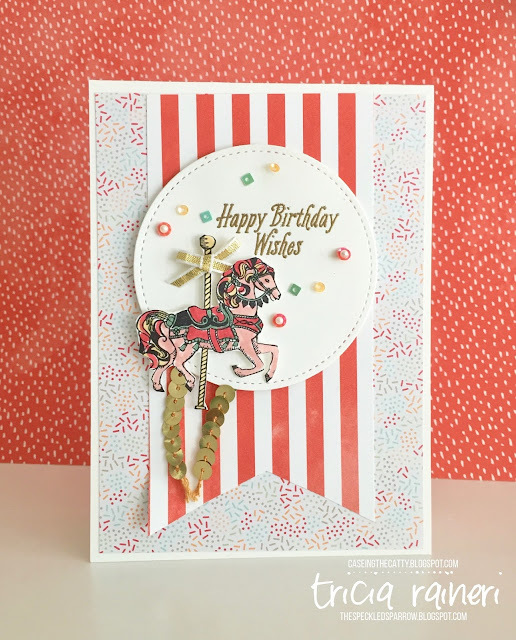 I love the whimsical old world feel of the horse but wanted to make a cute kids card, perfect for a little girl. I no longer have a little girl, she is a teenager now, but I think she would like this too! Here is the card I cased. It's quite pretty, isn't it? It's a great layout & really versatile for any type of card. I am already mourning the loss of Watermelon Wonder, which will be leaving us in June to make way for some new In Colour loveliness. It is my go to colour lately & it teams lovely with most colours. I have used the stripe DSP from the Succulent Garden DSP & the sprinkles DSP from Tasty Treats DSP. 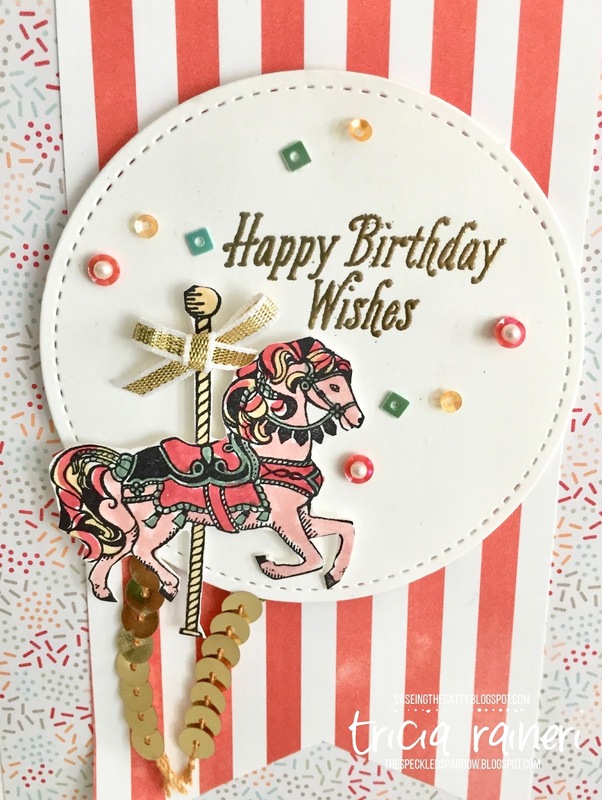 I wanted to make this card a bit more special so I embossed the sentiment from Avant Garden in Gold & added some gold accents along with a scattering of cute Sprinkles Embellishments from the Cool Treats Suite. I have to say this Occasions catalogue is one of my absolute favourites & I hope you are enjoying it as much as I am. 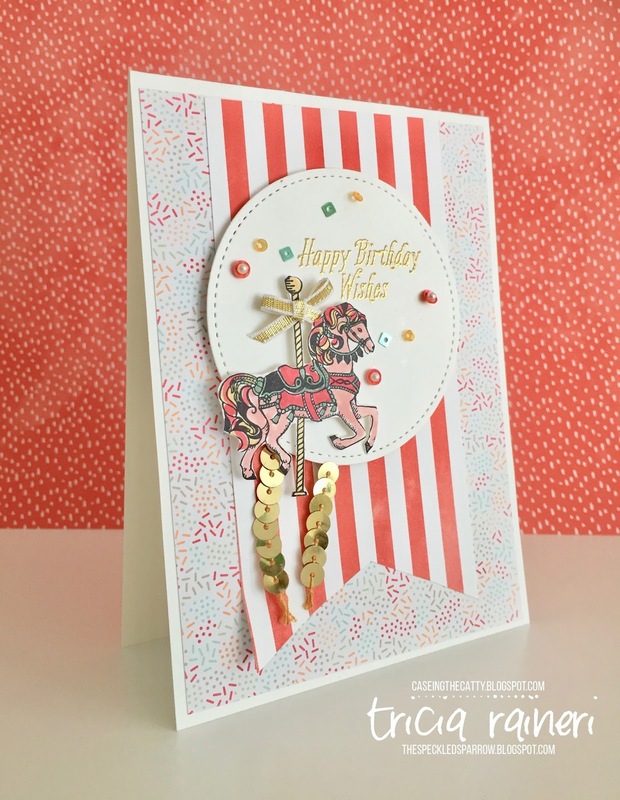 Next up is the fabulous Judy, I always love to see what she has created, especially the insides of her cards! You can hop backwards if you would like, just click the previous button to be directed back to Rachel. Facebook Group Challenge. page. I am always so inspired by all the creations there.